Nestled behind the community gates of Edgewater, you'll find beautiful Mediterranean-style buildings with lush landscaping. 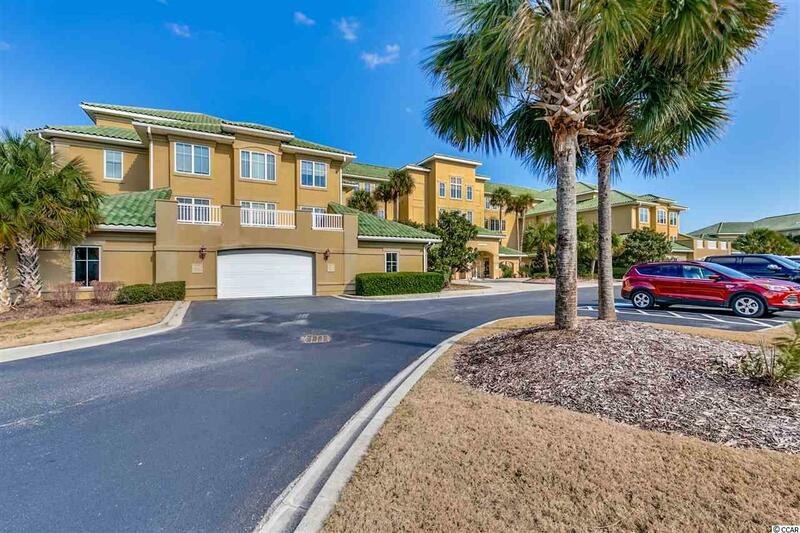 This is currently (as of 2/11/19) the lowest priced condo in Edgewater, leaving you plenty of wiggle room to come in and make it your own! The owner has already taken care of the big ticket items, replacing the bedding in both bedrooms in 2019, the HVAC in 2018, and the sofa, TVs, TV stands, mattresses, and carpet just three years ago! 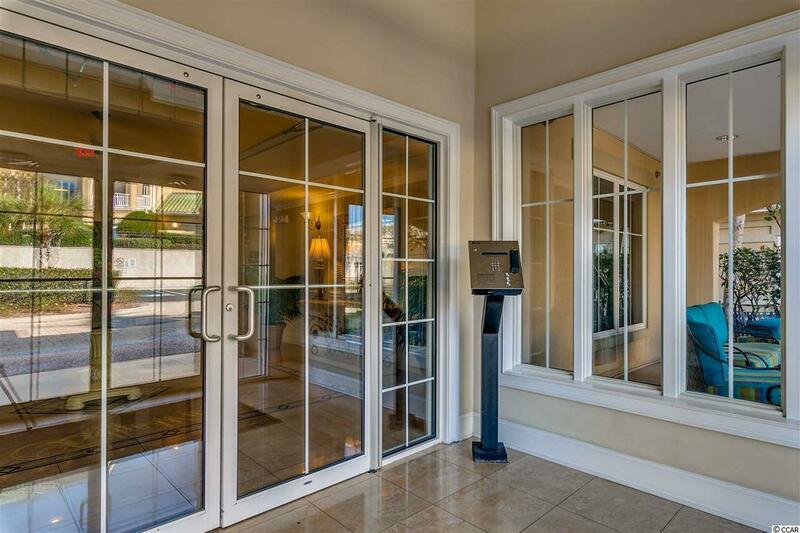 This 2-bedroom, 2-bathroom condo is light and bright, with tons of storage! While both bedrooms have large, walk-in closets, the master bedroom has two walk-in closets: a his and hers. 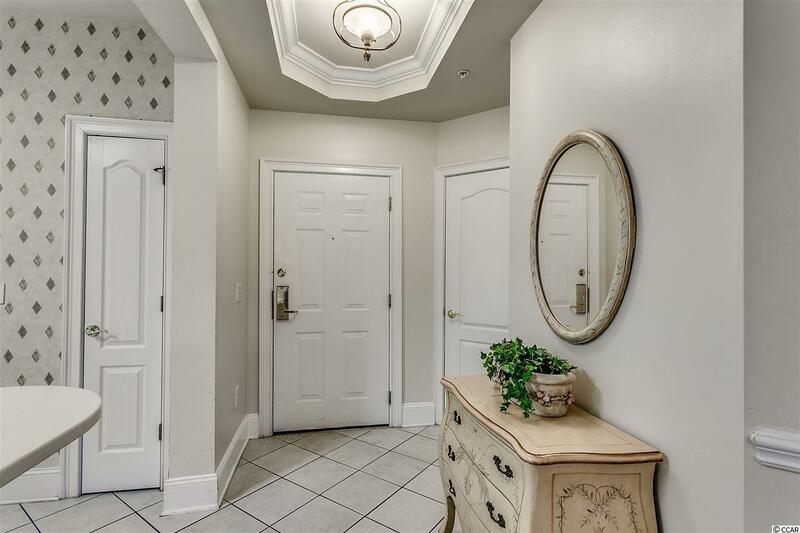 If that's not enough, there are two additional storage rooms just for this unit: one down the hall that's climatized, and another in the building's private garage (with assigned parking) that's large enough to hold your golf cart, and then some! Off of the living room of this unit is a screened in porch overlooking the 16th tee box of the Norman course. This is a par three with its green overlooking the waterway. The community pool and hot tub sit directly on the waterway where owners will also find day docks for the boat enthusiast! For those that still want to stick their toes in the sand, Edgewater owners have access to Barefoot's private, oceanfront cabana with private parking, bathrooms and outdoor showers. If you don't feel like driving to the beach, take advantage of the community shuttle that picks up just outside of Edgewater's gates. If all of this sounds good to you, just bring your suitcase! 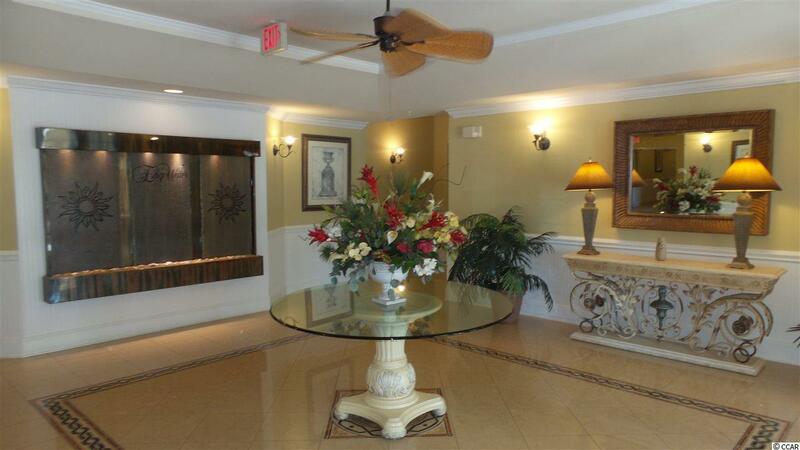 This condo is sold fully furnished! Kitchen Dishwasher Garbage Disposal Refrigerator Range Breakfast Bar Ceiling Fan Oven Microwave Pantry Stainless Steel Apps.